Mercredi 9 octobre 2019 Regards sur le thermalisme européen du Moyen Âge au XIXe siècle. Présidence de séance : Sophie Chiari, Université Clermont Auvergne. 14h00 Réflexions sur le thermalisme médiéval en Europe. Didier Boisseuil, Université de Tours, et Marilyn Nicoud, Université d’Avignon. 14h30 Marguerite de Navarre et les bains de Cauterets : de la pratique sociale au motif littéraire. Nora Viet, Université Clermont Auvergne. 15h00 Le thermalisme en Angleterre et au Japon : traditions historiques et représentations littéraires. Eri Ohashi, Nagasaki University (Japon). Présidence de séance : Samuel Cuisinier-Delorme, Université Clermont Auvergne. 16h15 Pratique balnéaire et culte du pouvoir : le pavillon des bains du château de Nymphenburg à Munich (1722). Kristina Deutsch, Westfalische Wilhelms-Universitat Munster (Allemagne). 16h45 Récit du séjour en cure d’une princesse bavaroise : Maria Anna von Bayern (1728-1797). Anne-Sophie Gomez, Université Clermont Auvergne. 17h15 De thermes en thermes : le cas Tourgueniev. Christine Chaze, conférencière indépendante. Jeudi 10 octobre et vendredi 11 octobre 2019 Baths and Spa Waters in the Literature and Culture of Early Modern England. 9h00 Formal Opening of the Conference. Anne Garrait-Bourrier, Professor of American Studies (Literature and Culture) and Vice-President for the Development of International Relations. Fabien Conord, Professor of Contemporary History and Head of the Department of Journalism, Université Clermont Auvergne. HISTORY, PHILOSOPHY AND MYTHS: EXPLORING THE BACKGROUNDS OF BALNEOLOGY. Chair: Sophie Vasset, Université Paris-Diderot. 9h30 “Water of Paradise”: the Place of Balneology in Bacon’s Philosophy. Mickael Popelard, Université Caen Normandie. 9h55 An Elusive Legacy: Ancient Balneology in Eighteenth-Century Britain. Giacomo Savani, University of Leicester. Chair: Sophie Chiari, Université Clermont Auvergne. 11h Baths, Spas and Belief. Tiffany Stern, Shakespeare Institute. THE REPRESENTATIONS OF SPA TOWNS IN LITERATURE. Chair: Pierre Lurbe, Sorbonne Université. 14h Bristol and Bath in Frances Burney’s Evelina (1778). Anne Rouhette, Université Clermont Auvergne. 14h25 “Oh! Who can ever be tired of Bath”? (Northanger Abbey I.X.59): The Representation of Bath in Jane Austen’s Northanger Abbey and Persuasion. Marie-Laure Massei-Chamayou, Université Paris 1 – Panthéon Sorbonne. 14h50 Bathing in Verse: Christopher Anstey, The New Bath Guide, and Georgian Resort Satire. Shaun Regan, Queen’s University Belfast. 16h Taking the Cure: Mineral Waters and Love’s Folly in Lady Mary Wroth’s Urania. Tiffany J. Werth, UC Davis, University of California. 18h00 Reception in the City Hall. 19h30 Dinner at La Véranda – Aletti Palace. THE HEALING VIRTUES OF SPA TOWNS & CURATIVE POWERS OF WATERS. Chair: Anne Rouhette, Université Clermont Auvergne. 9h Drowning in Health: Mineral Spring Water and Alcohol in Eighteenth-Century England. Vaughn Scribner, University of Central Arkansas. 9h25 Mineral Waters as a Treatment for Barrenness in the Eighteenth Century. Sophie Vasset, Université Paris-Diderot. 9h50 “For Music is wholesome the Doctors all think”: The Curative and Restorative Function of Music in Eighteenth-century English Spas. Pierre Degott, Université de Lorraine. Chair: Sophie Lemercier-Goddard, École Normale Supérieure (Lyon). 11h The Poor, the Public, the Polity, and the Pools: Medical Care at the Seventeenth-Century British Spa. Amanda Herbert, Folger Institute. WATERS AND BATHS AS DRAMATIC AND POETIC DEVICES. Chair: Isabelle Fernandes, Université Clermont Auvergne. 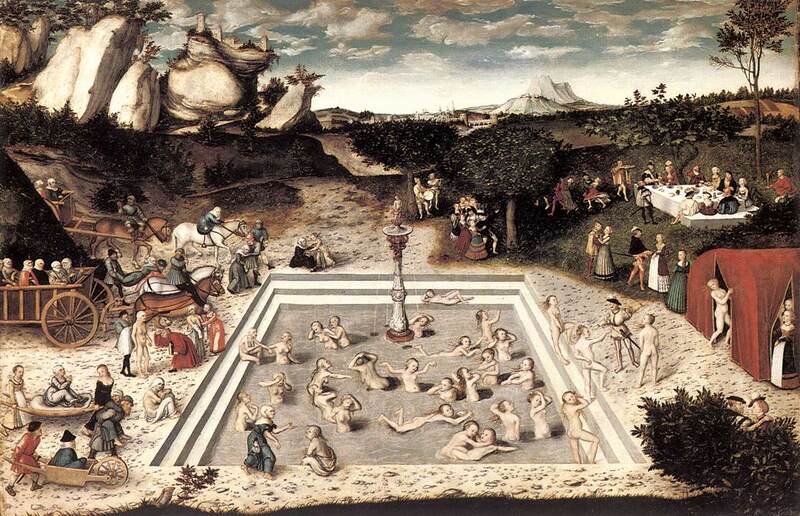 13h30 “Bathing […] in origane and thyme” (I.ii.40): The Ambivalence of Baths in Spenser’s The Faerie Queene. Alix Desnain, Université Clermont Auvergne. 13h55 Waters, Wells and Spas in John Webster’s The Duchess of Malfi: An Impossible Purification? François Laroque, Sorbonne Nouvelle. 14h20 What does the Spa Town Stand for? The Example of Epsom Wells by Thomas Shadwell (1673). Clara Manco, Sorbonne Université. 15h-17h Guided Tour of Vichy. 17h End of the Conference.